Boxboy! kicks off SuperPhillip Central's month of Nintendo 3DS review in style. Nothing like a greatly reviewed game to start things off. There will be even more Nintendo 3DS games reviewed this month, both digital and retail, so I hope you'll look forward to them. For now, take a peek at HAL Laboratory's latest, Boxboy! From the developer behind Kirby comes Boxboy, another in the line of creative titles from HAL Laboratory. Although the game appears simple in concept-- you play as a box name Qbby, able to extend boxes of the same size from his own body to solve puzzles and reach otherwise inaccessible platforms-- Boxboy quickly turns the complexity dial up to 11 in a rather fast fashion. 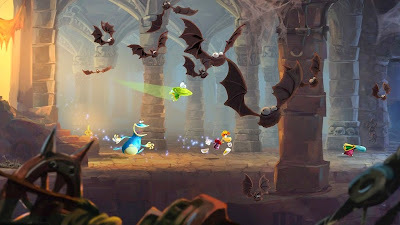 can get mighty challenging in its level design! 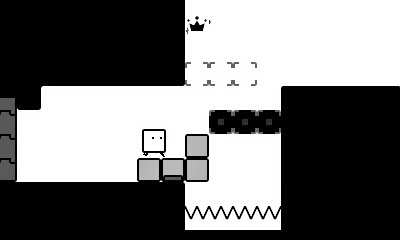 As stated, Qbby's most pronounced ability in Boxboy is the power to create a chain of boxes from his body that can be situated to solve puzzles. 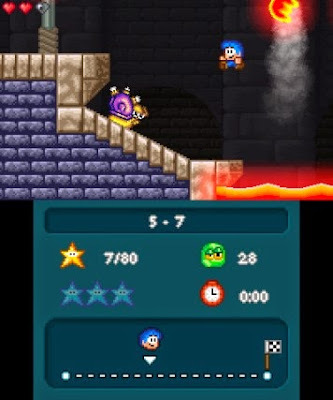 One of the early uses of Qbby's abilities is to spawn three boxes resembling a staircases so he can reach a higher platform. Another has him creating an amount of boxes in the shape of a hook to hang off of another higher platform. 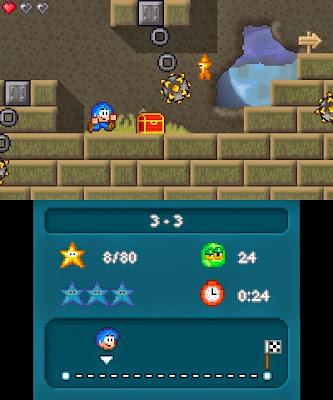 With a press of the Y button, Qbby can contact the chain of boxes, allowing him access to the platform where the box that served as the "hook" once was. Qbby can unlatch himself from the box chains he makes. It's paramount to do for this particular situation. The catch with summoning boxes is that each level has a set amount of boxes that can be summoned at one time, and each time Qbby extends a series of boxes, the last series of boxes disappears. 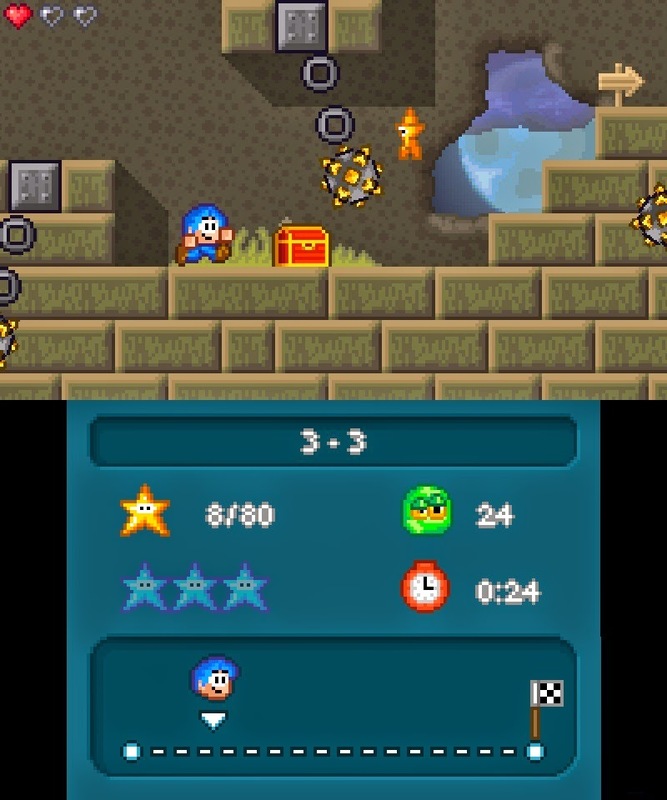 Getting crowns in levels, collectibles that when all are collected in a level give the player a "perfect clear" rating, means that Qbby can only use a set amount of boxes total before the the crown(s) disappear. be used a protection against harmful hazards. Beating a level earns the player credits that can be spent on time and score attack challenges, new costumes for Qbby (each with their own impressive amounts of animations), and even tips and tricks for different level mechanics within the game. 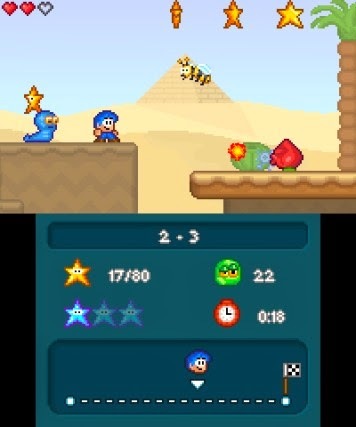 Each of Boxboy's worlds houses a specific set of themed challenges. Some deal with buttons that open and close doors when force is pressed on them that Qbby must place boxes on to hold them down. Others deal with conveyor belts, electrically charged blocks, gravity, and many more. 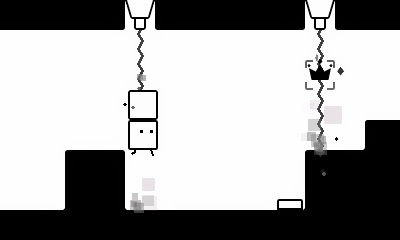 The great thing about Boxboy and how it handles new twists and mechanics is that the game eases you into each new level gimmick. 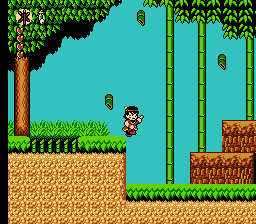 You're rarely unsure of how to go about solving a given section of level because the game did not prepare you for its challenge. Perhaps the only negative concerning the level design and new twists introduced to players is that many of the mechanics in Boxboy only show up in a handful of levels (aka one world) before the game moves on to a new mechanic. make this dark trio of squares appear for Qbby to walk on. 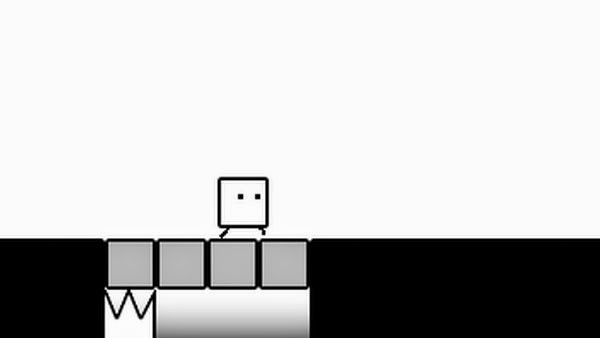 Levels in Boxboy feature plenty of checkpoints, so failure is seldom truly punishing. It definitely is never frustrating. No, when Qbby fails by getting stuck or taking damage, he starts at a checkpoint, which is always at the start of a new puzzling section of a level. 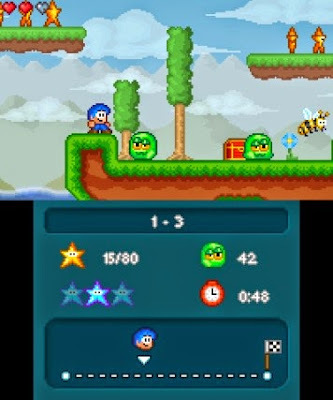 Players can also press the shoulder buttons of the Nintendo 3DS to manually restart from a checkpoint if they get stuck. If for some reason a section of level is something a player can't wrap his or her head around, the option of getting a hint is available through spending one of the Nintendo 3DS system's Play Coins. 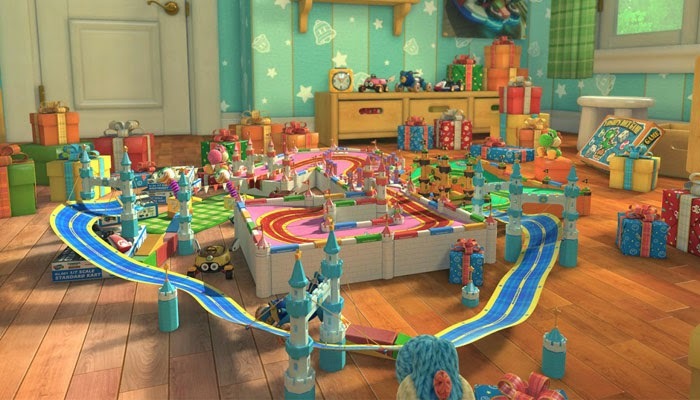 A quick picture of the location and amalgamation of boxes needed to progress in the level is shown, meaning that as long as a player has enough Play Coins, they can ask for a hint if they cannot come up with the proper solution on their own. Much like Pushmo, Boxboy is yet another excellent Nintendo 3DS eShop entry from HAL Laboratory, showing that the developer still has plenty of creative bones in its collective body. 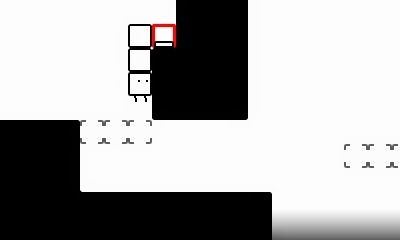 Containing clever puzzle design, an innovative concept, and a creative and helpful hint system to allow for any and all players to beat its many levels, Boxboy is a fantastic offering that shows that it's truly hip to be square through its four hour plus playtime and affordable price. 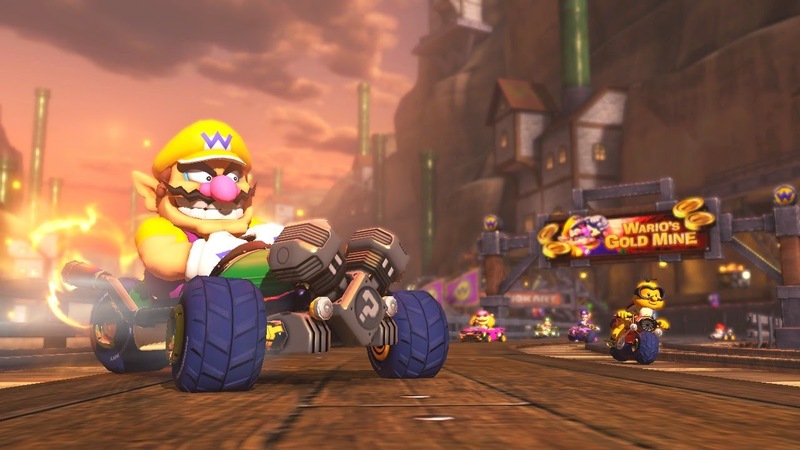 With several new kart racers out since the 2013 list of top kart racing games, it seemed like an opportune chance to build a new, updated list of the kart racers that I deem the best of the big bunch. 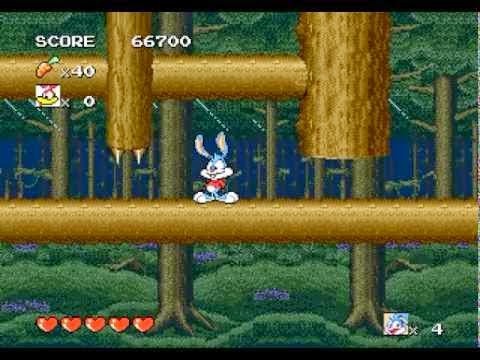 These games have great track design, tight controls, and all the options one would expect of great games in the genre. You may notice that neither Super Mario Kart or Mario Kart 64 are on this version of the list. Both suffer from the same problem, an obvious case of rubber-band AI, which is immediately apparent when the AI's speed goes to impossible heights just to catch up to the player. 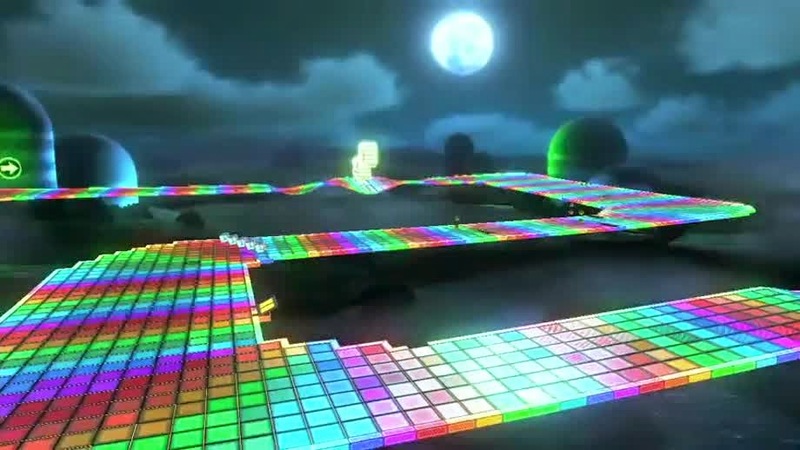 This is easily seen on the Rainbow Road track on Mario Kart 64 if you take the shortcut that allows you to skip essentially half the track. The AI will catch up to you within a lap's time. 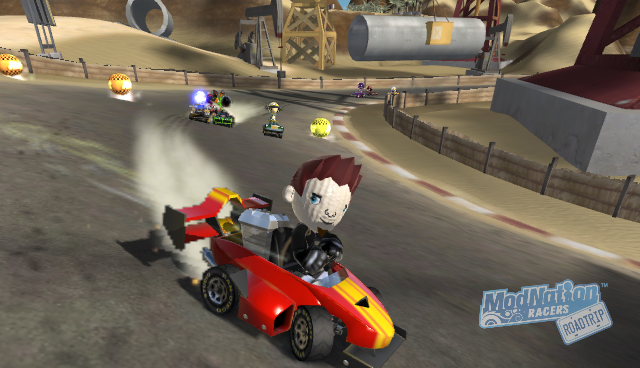 With that said, I hope you enjoy this second round of the Top Ten Kart Racing Games of all time. This might be an "out there" choice, especially as so few people have played it, what, with it being on the PlayStation Vita and all. 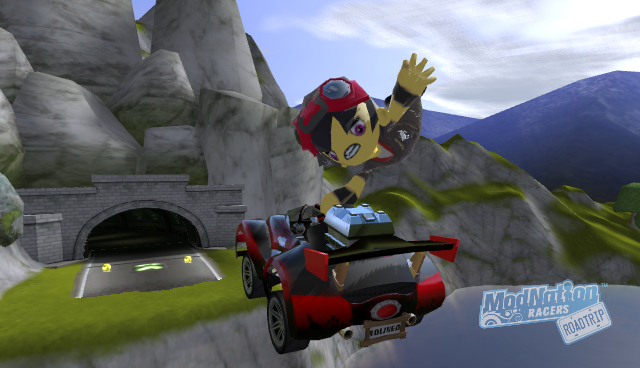 However, ModNation Racers: Road Trip made the series that started on the PS3 even better with greater track design and the ability to create much more extravagant tracks of your own with much more ease. That was thanks to the touch controls of the Vita hardware. Furthermore, item balance was genuinely well done, thanks to the ability to use boost energy, made from drifting, to shield yourself from offensive attacks. It's one of my most played Vita games due to the fun racing and even more fun track creator. 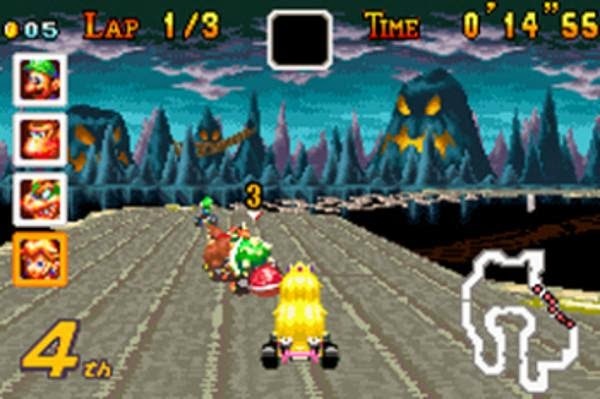 The first handheld entry in the Mario Kart series, Mario Kart: Super Circuit not only contained 16 new colorful tracks, but one could unlock all of the tracks from Super Mario Kart to make for an impressive amount of great tracks to put the pedal to the metal on. The game introduced the now well known ranking system that scores players on their skillful racing, and many times, good luck. 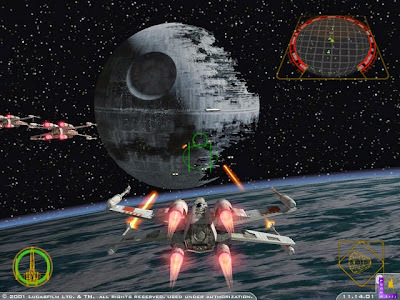 It was a game that was more balanced and fully featured when compared to Super Mario Kart, and actually featured fairer AI to battle against for the first place trophy. 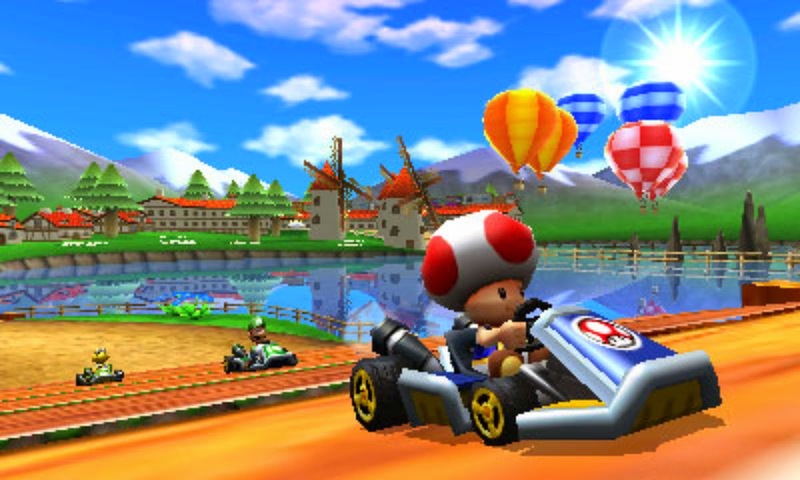 The latest portable entry in the Mario Kart series is Mario Kart 7, and it didn't go as item-heavy as its predecessor, Mario Kart Wii did. 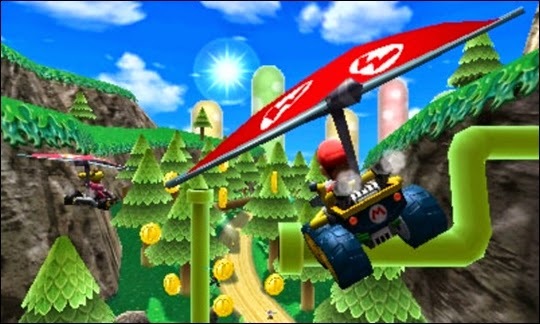 While Mario Kart 7 lowered the racer count back to a less exciting eight, the game was a more balanced one because of it. 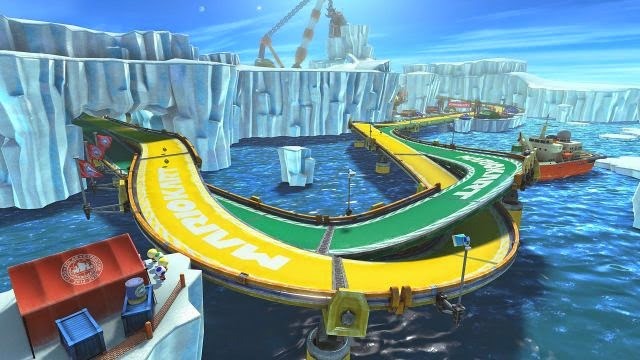 Sure, later CC races would have more than their fair share of blue shells for first place to worry about, but for the most part, Mario Kart 7 was a far better entry than Wii. 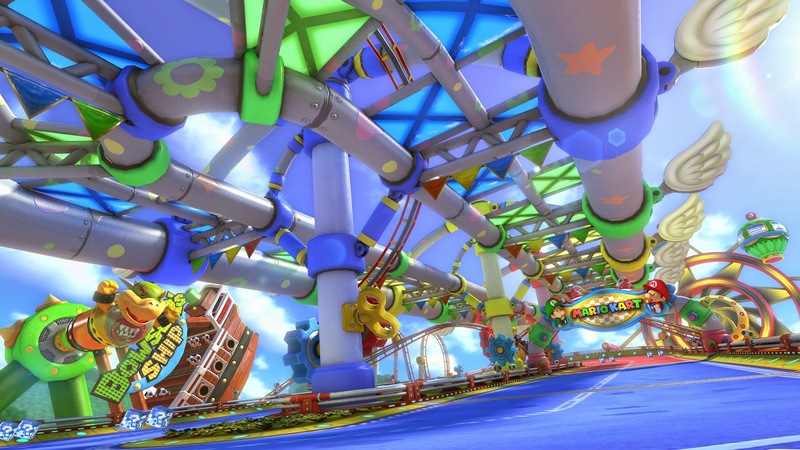 It featured some now-classic races and brought back several favorite tracks in retro cup form, such as Coconut Mall, Airship Fortress, Dino Dino Jungle, and more. 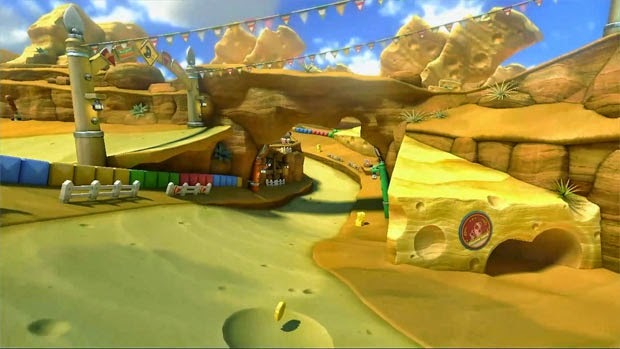 Online communities were a step up from past Mario Kart online attempts, allowing friends to join specifically designed cups made by other players with a whole set of options. 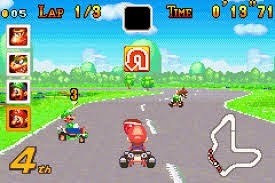 Mario Karts prior to Mario Kart: Double Dash!! were pretty iterative, only offering newer tracks. Well, to be fair, going into full 3D with Mario Kart 64 was quite notable, but the basic mechanics and foundation were the same. Double Dash!! 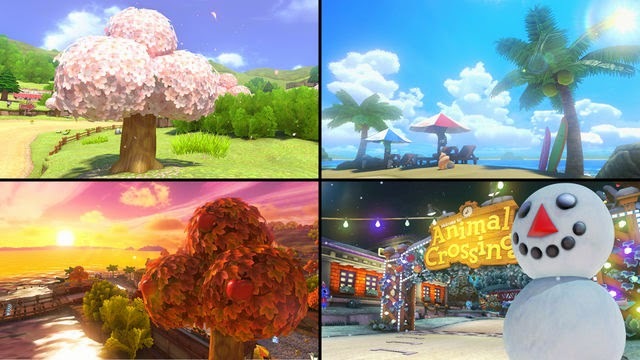 shook things up greatly with having two Mushroom Kingdom characters per vehicle, offering 16 new, colorful and creative tracks, multiple characters and vehicles to choose from, character-exclusive items like Bowser's big shell, and an awesome All-Cup that had racers taking on all 16 tracks of the game in a row. 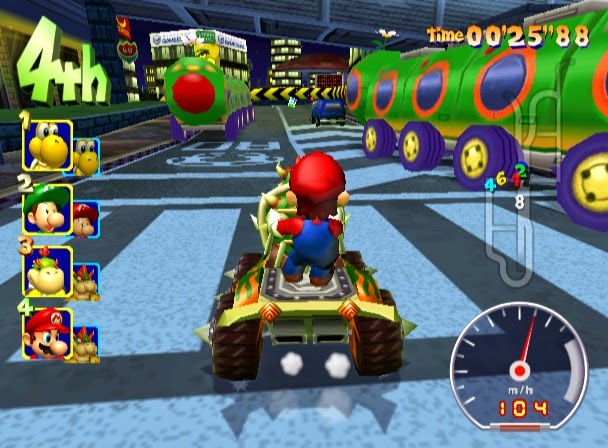 The GameCube saw many iterations of Nintendo's franchises that disappointed, but I'm of the mindset that Mario Kart: Double Dash!! was not one of them! 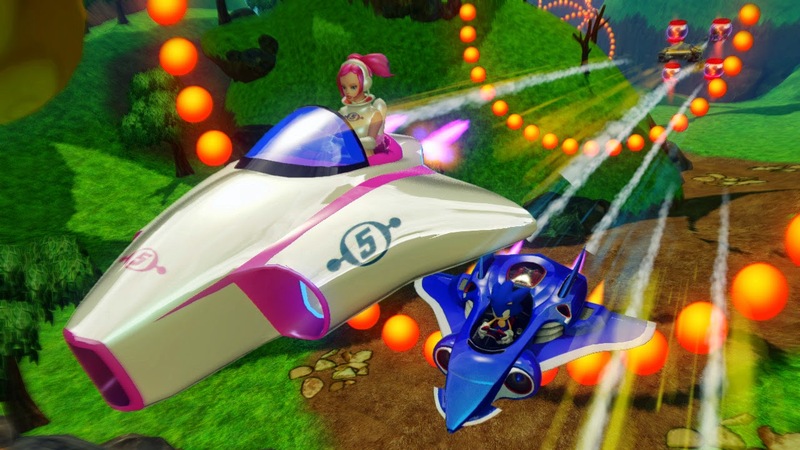 Sonic and friends return for a racing romp with the inelegantly titled Sonic & All-Stars Racing Transformed. The game offered an immense amount of modes to players, from classic Grand Prix to a mode where players participated in races, challenges, and other tests of skill to unlock new challenges and racers. 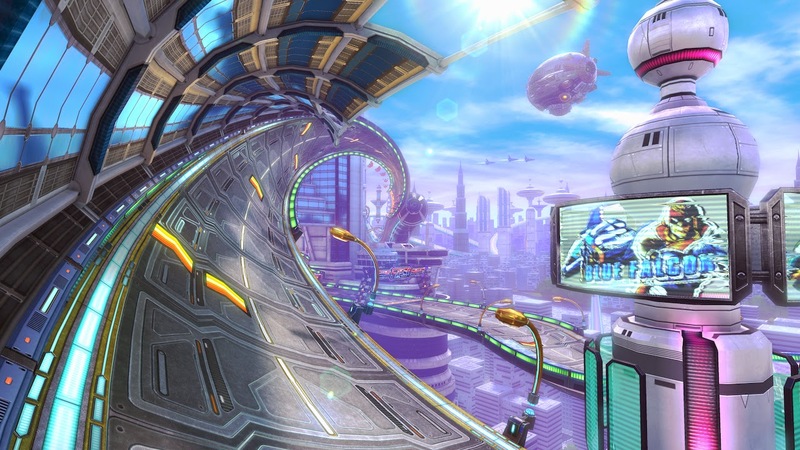 The reason I rate Sonic & All-Stars Racing Transformed lower than its predecessor is that this game featured more glitches and bugs than the original, as well some frustrating track design (i.e. 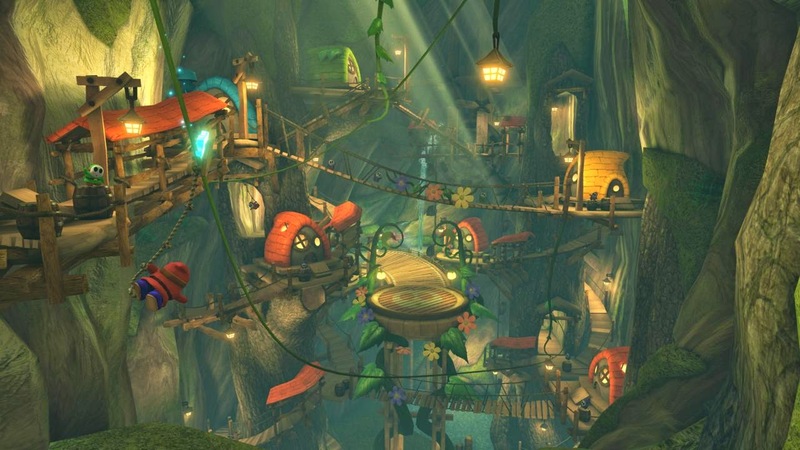 instances where the direction to go is not abundantly clear, making some races very irritating) and lame character choices (I'm looking at you, Wreck-It-Ralph and Ms. Danica Patrick). 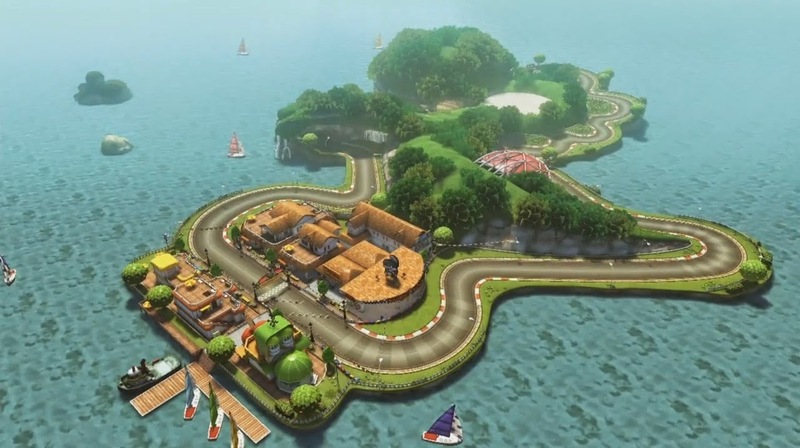 However, there is no question that All-Stars Racing Transformed was and still is a fantastic kart racer that is more akin to arcade classics than say, a Mario Kart. Containing a wide array of classic SEGA all-stars, such as Sonic (of course), Billy Hatcher, Beat from Jet Set Radio, Samba (of Samba de Amigo fame), Aiai from Super Monkey Ball, and plenty more-- even some very old school selections, Sonic & SEGA All-Stars Racing featured brilliantly designed courses with plenty of killer shortcuts. The amount of love poured into the game was definitely apparent through every orifice. Using points to buy new courses, characters, and music was something that kept players going in their quest to unlock everything the game had to offer, and it was the preferred way I enjoyed of unlocking content than what the sequel provided. Trying all 30+ challenges in the game's Mission mode was also a blast. 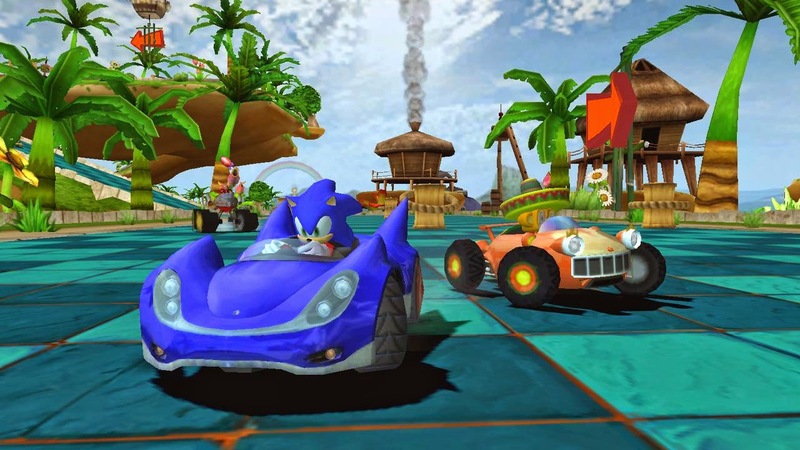 While not featuring all the little presentation flourishes that All-Stars Racing Transformed had, I still enjoy the original Sonic & SEGA the best when the two are compared. 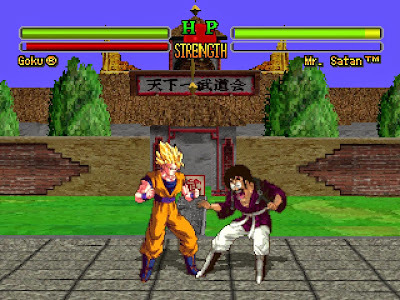 Before feeling it was above cartoony games, Naughty Dog developed some very good games for the original PlayStation and its successor, the PS2. 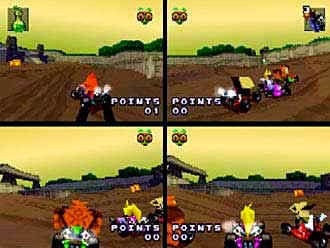 One of these for the PS1 was taking the characters from its Crash Bandicoot games and placing them into a kart racing game, very much inspired by Diddy Kong Racing's Adventure mode. 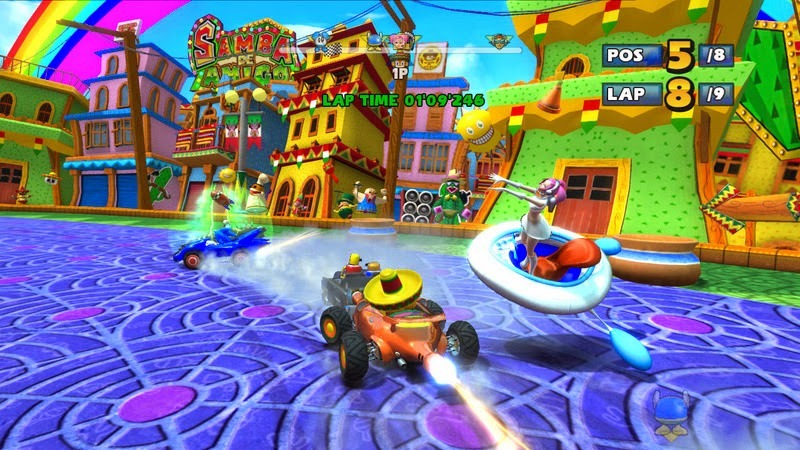 The end result proved that Naughty Dog got exactly what made the genre and Diddy Kong Racing by extension successful, as it created an engrossing kart racers with excellent designed tracks filled with killer shortcuts, tight controls, balanced items, and loads of fun. Perhaps the only gripe I can give to Crash Team Racing is that the game's music fails to captivate as much as the rest of the package. My favorite handheld racer is Mario Kart DS. 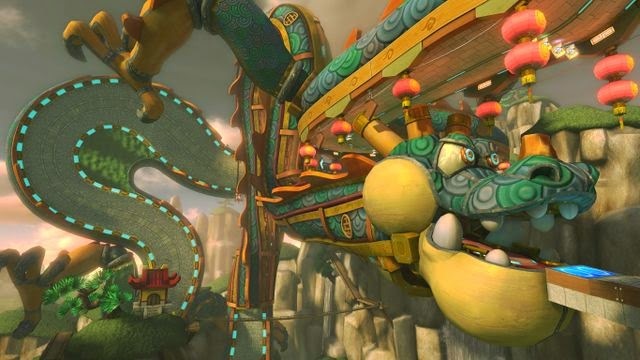 Sure, now you can't participate in online races via Nintendo's Wi-Fi Connection, but at the same, no more looking at player emblems that resemble or are blatantly dongs. 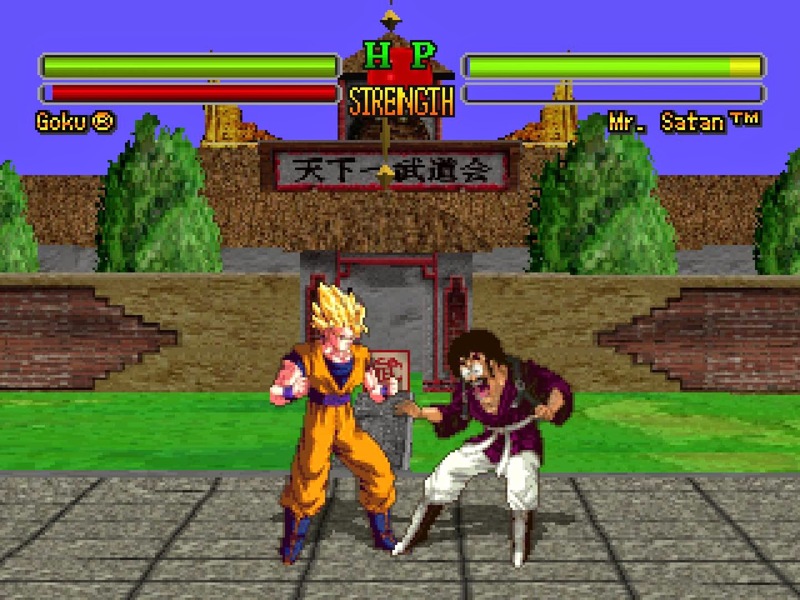 Instead, the game still features plenty of content to make it worthy of playing even if you can't do online anymore. 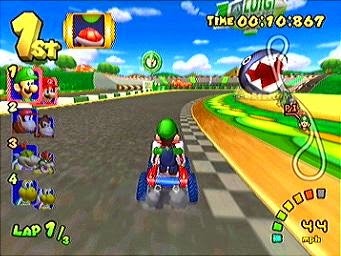 Mario Kart DS was the game that introduced the retro cup tracks into the fold, offering 16 tracks from past Mario Kart titles. 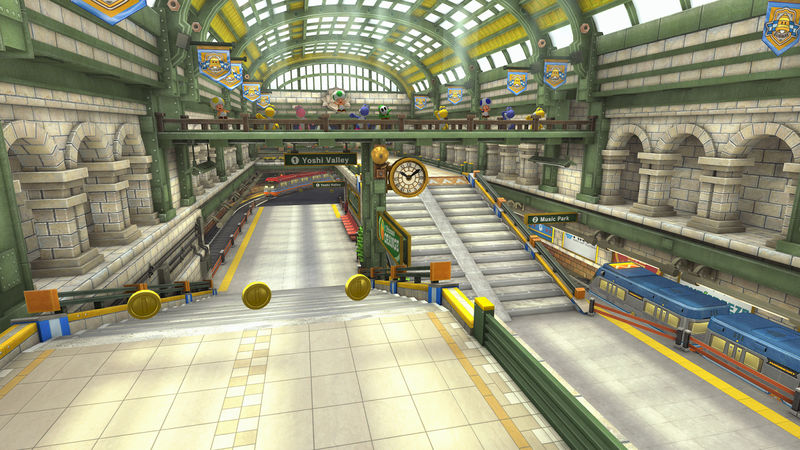 Additionally, DS was the first game in the series to possess a Mission mode, where players engaged in challenges such as driving through numbered gates, collecting coins, and battling bosses in arenas. 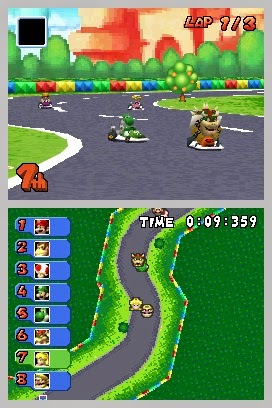 Mario Kart DS was recently released on the Wii U Virtual Console, allowing a whole new generation to try the most complete handheld entry in the series to date. 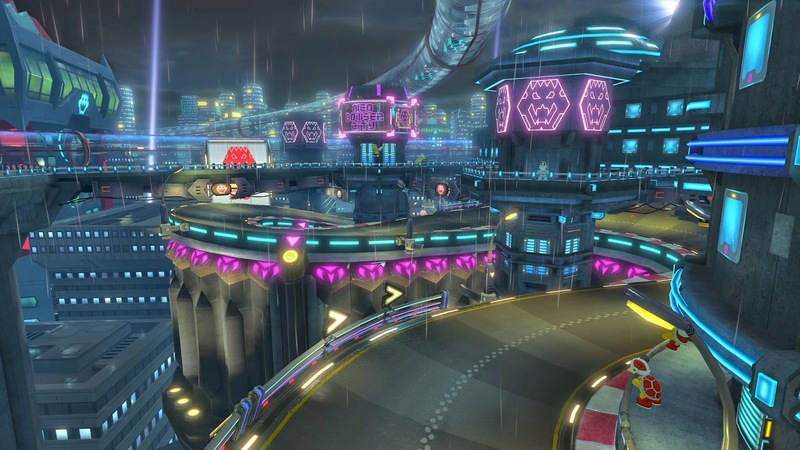 By itself, Mario Kart 8 is a competent package with some of the most ingeniously designed tracks in kart racing history, thanks to the most part by the all-new anti-gravity sections, turning Mario Kart 8's tracks reminiscent of F-Zero in some regards. 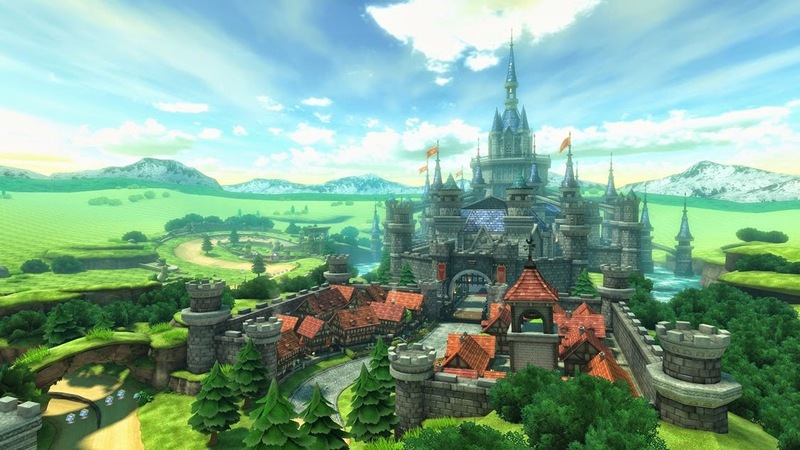 Although the battle mode isn't up to the standards made by previous games in the series, what makes Mario Kart 8 shine the most is in its post-release content. 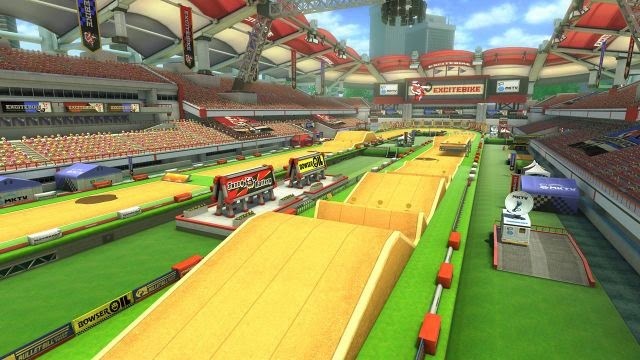 We've seen 16 more tracks added to the game, and while these do cost money, the value is amazing as the tracks are just as smartly made as the base game. 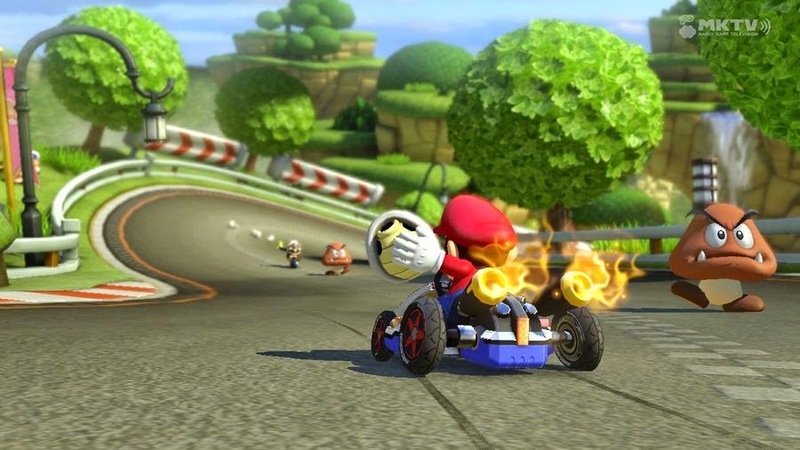 The recent addition of the 200 cc has made it so Mario Kart 8 is faster than ever before, making the game feel like a totally different beast. 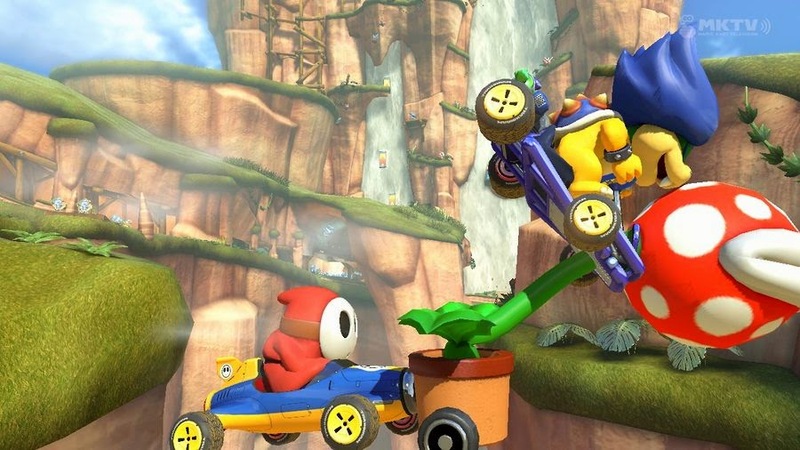 It is all of these reasons why Mario Kart 8 is now my favorite entry in the series and my pick for the second best kart racing game. 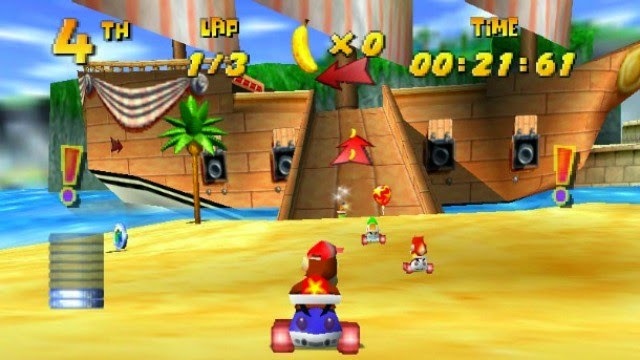 The original Nintendo 64 version of Diddy Kong Racing reigns supreme in my book as best kart racer of all time, almost two decades after its initial release. 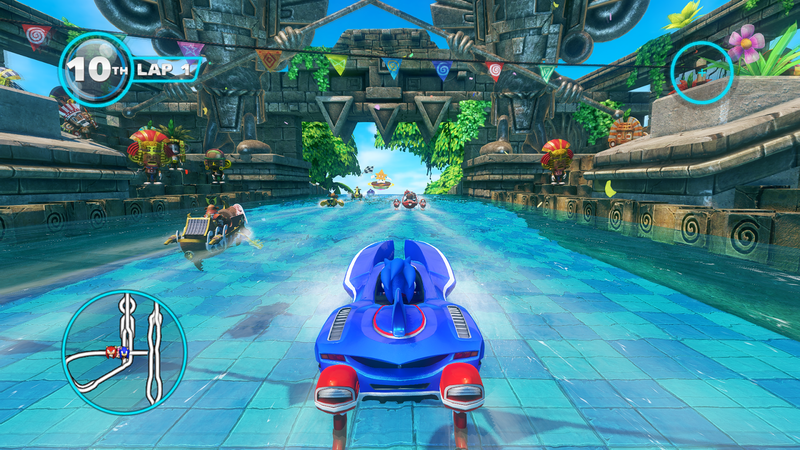 The game still contains the most complete kart racing package combined with incredibly tight and responsive controls. 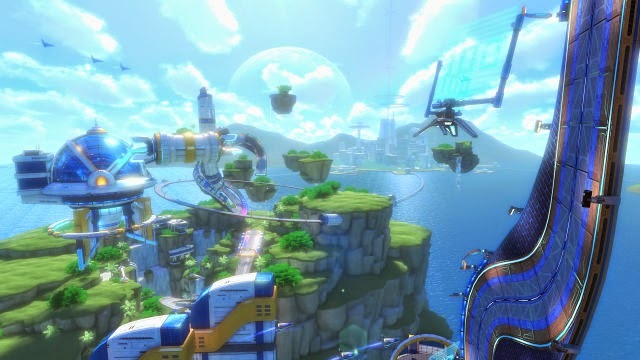 There were three main vehicles to play as across dozens of lovely and dynamic tracks, an immensely innovative and creative Adventure mode that made for much greater longevity than other games in its genre, and it featured a resoundingly remarkable soundtrack and presentation. 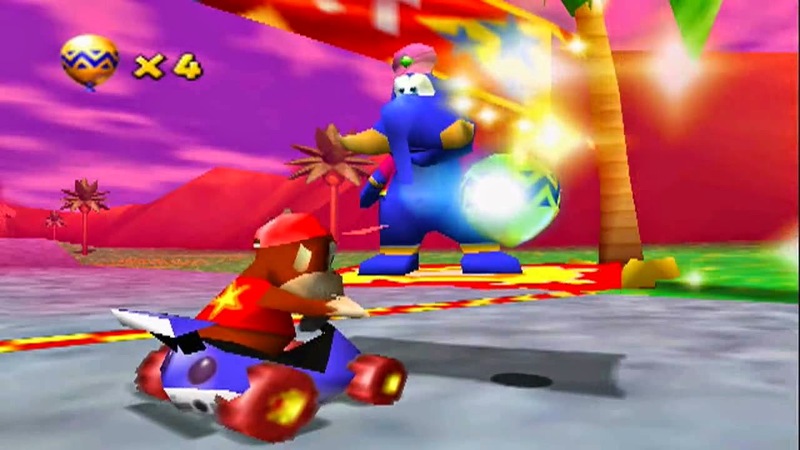 Diddy Kong Racing changed how I looked at kart racers, and it constantly returning to it I realize just how special this creation from the minds at Rare really was and really is.